Robert Plant has given his personal seal of approval to Jason Bonham's Led Zeppelin Experience. Bonham told Goldmine that the Zeppelin vocalist had some words of encouragement for his forthcoming US tour. He said: "Robert said, "Listen, Jason. You don't need an excuse to do this, you know." And he said, "No one plays drums like you. There was one. He's gone now. There's a lot of drummers who say they can, and they can't. So, you have my blessing as long as you do this with a smile on your bloody face.'" Bonham continued: "And that meant a lot to me. At that point then, I basically stopped looking at any negativity. I plan to make this the best I can without worrying about those people." 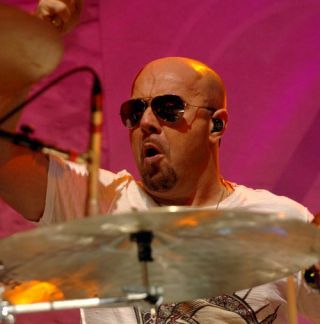 Jason Bonham's Led Zeppelin Experience will tell the Led Zep story through performances, videos and narration from Bonham. The 30-date US jaunt kicks off next month.